Google has lifted the wraps on the next generation of its streaming dongle that turns any old TV into a ‘smart’ TV. The first model launched two years ago, so the Chromecast hardware was due today’s update to stay competitive with rival products. Key new hardware specs include support for faster 5G Wi-Fi networks, which should mean less interference when you’re streaming things like Netflix. The actual design of the dongle has completely changed too – it’s now available in ‘lemonade’ and ‘coral.’ It’s also now circular. The new model also has upgraded software, which includes a feature called Fast Play. This starts to pre-load content as you open the app rather than waiting for it to open. There’s also a new content prediction feature due to start rolling out next year – this will do things like identify shows that you’ve downloaded and start downloading the next episode. 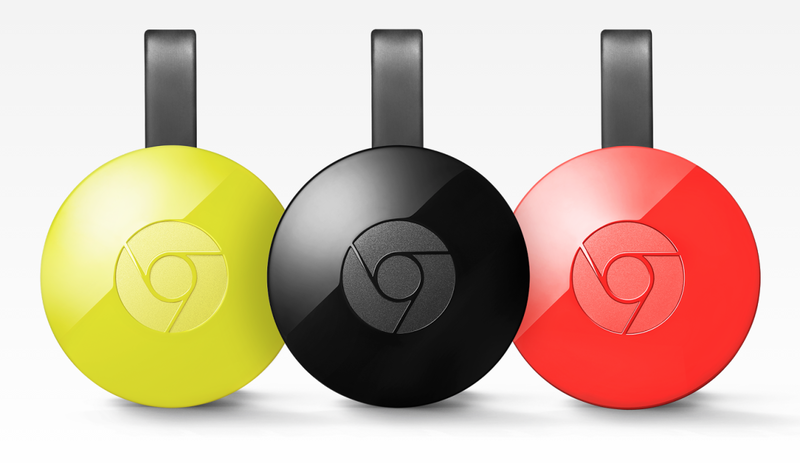 The new Chromecast is rolling out today in 17 countries – and it still costs $35. As a deal sweetener, Google said that Spotify casting is rolling out from today for new Chromecast and Chromecast Audio devices, and that it’ll be available on existing Chromecast devices in the coming weeks.